France is the country where iconic tourist attractions like the Eiffel Tower, Champs Elysees and the Arc de Triomphe meet charming French countryside, and splendid grandeur of châteaux can only compete with the lavishness of the Cote D’Azur resorts. The country of wine, seductive language and romantic citizens who elevate their culinary fantasies to the level of obsession is perhaps one of the most popular destinations in the world drawing like a magnet all sorts of travelers from singles, to couples to anyone in between. With so much to do and see, our France travel tips below come in handy. France vacations are superb for many reasons: country’s favorable geographical location being surrounded by the Mediterranean in the south, Atlantic Ocean in the west and English Channel in the northwest create a myriad of opportunities for water sport lovers, French Alps, on the other hand, are great for winter sports enthusiasts and outdoor lovers. If you add French cuisine that is considered one of the best in the world, unsurpassed in quality and taste wines, and buttery pastries, you will end up with the best culinary France vacations. For your information below we present some of the most essential France travel tips on which destinations you should include for your travel itinerary. 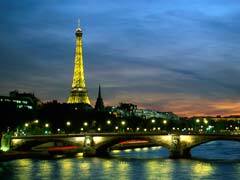 Paris without a single doubt contains the highest concentration of France tourist attractions on its territory. Included almost in all France vacation itineraries, the City of Lights requires no introduction since everyone in the world recognizes such iconic attractions like the Eiffel Tower, Notre Dame de Paris and the Seine River. The major part of the French capital is listed among UNESCO World heritage sites due to incredible historical significance of its architecture that dates several centuries back in time. 45 million tourists come here annually to other no less significant sites as the Louvre museum with its splendid collection of art, Pere-Lachaise Cemetery boasting some of the most magnificent gravestones of distinguished individuals, Picasso Museum and Musee d’Orsay among thousands of others. Among the best France travel tips one can receive is definitely investing into Paris Museum Pass enabling incredible money and time savings. Additionally, planning your France vacations ahead of time and arriving to attractions at least 45 minutes before posted opening times will save you even more time and avoid disappointments. 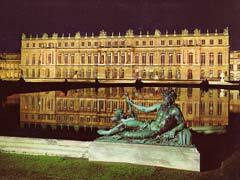 Please read additional France travel tips in our travel articles because the number of attractions in the capital of France is quite high. Loire Valley is lovingly called by the French “The Garden of France” due to land’s incredibly beautiful landscapes, lush vineyard, fruit orchards, historically and culturally priceless castles in France. Located within the central and western parts of the country 2 hours south of the capital, “The Garden of France” encompasses a series of majestic historical towns like Tours, Amboise, Chambord and many others. 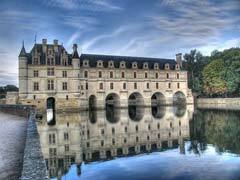 Here visitors can delight their senses by visiting chateaux like Chateau Amboise, Chateau de Chenonceau, Chateau d’Azay – le-Rideau, Chateau de Valencay to mention just a few of them. Normandy located in the northern portion of France is facing the English Channel opening plenty of gorgeous coastal views. This part of France is well known for its cheese, seafood and sparkling apple cider made from local harvest. Among the top destinations visitors will find Mont St Michel Abbey located on a tiny tidal island very curious. Taking a tour along this island with rugged shores and medieval architecture is a delight. Visitors are strictly warned not to wander around its coast alone due to dangerous and at times treacherous tidal conditions. Though the prices for hotels and restaurants are rather steep, do no miss a chance to sample local omelets, sausage and cheese. French Riviera or Cote D’Azur as locals refer to it is a glamorous and posh coastal area off the southern Mediterranean coast of France. Frequented by the rich and famous, its prices and crowds are mind boggling. 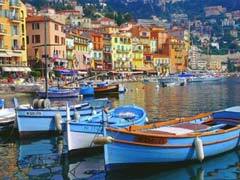 Towns like Saint Tropez, Cannes, Nice and Antibes easily come to mind when we imagine Cote D’Azur. Step off the well beaten path of sun soaked resorts and check out the olive oil mills and perfumeries in Grasse and glass blowing workshops at Biot. Avignon located in the Provence area of France is known for its epic attraction, Le Palais des Papes, temporary residence of the Popes in the 14th century. 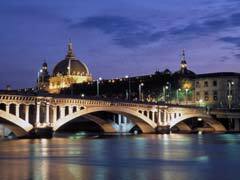 Along with its other sites, visitors love Pont d’Avignon Bridge and the market place Place Pie. Crazy crowded during the summer months, this destination is better avoided in June through August and better visited during September or October. Marseille is one of the largest and most populated cities in France, one of the busiest sea ports of the Mediterranean with excellent tourist activities by day and night. From the Vieux Port Harbor, the heart of the city, to the majestic Notre Dame de la Garde cathedral to Longchamp Palace and Boulevard, this sea port will remain in your heart forever. Did we mention you can bike virtually all over the city enabling you to save money on public transportation and to enjoy more scenic views throughout the area? Lyon is one of the gastronomic cities in France and is believed to be the place where cinematography emerged. The city is best explored by foot, by renting a bike or using public transportation. Meander along the narrow streets of Old Lyon to remind yourself how it all started taking in all the incredible architecture, lovely restaurants of simply people watch. Fourviere Basilica is another noteworthy site in the city because its massive building is constructed entirely from white marble. Ancient remnants of Roman Theatre could be observed in Lugdunum.